UNCG announced today it will partner with NC A&T to offer a Joint PhD in Social Work. The program will offer part-time and full-time cohorts. The Board of Governors for the UNC System today approved the establishment of a Joint PhD in Social Work between UNC Greensboro and North Carolina Agricultural & Technical University. The Social Work PhD program, which has been in development for the past seven years, meets an unmet need in North Carolina. Until today, the only PhD in the NC system (or the state) was at UNC Chapel Hill. The program is unique in the United States; it’s the only joint Social Work PhD between a historically black college or university (HBCU), and a historically white institution. 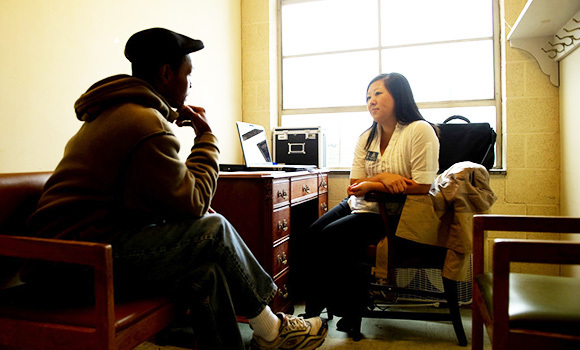 It is one of only six PhD programs in Social Work at HBCUs. The program builds on the 20-year successful partnership of the Joint Master’s in Social Work Program as well as the 44-year-old historic partnership between the two institutions’ Joint Bachelor of Social Work Field Programs. Capturing a unique market niche, the program will offer both a part-time and a full-time cohort and focus on educating community-engaged, teacher scholars. Interested applicants can contact Dr. Melissa Floyd-Pickard, Department Chair for Social Work. Additional information will be forthcoming in anticipation of a Fall 2019 launch. Photography courtesy of University Communications.